Have a Bell-Ringing Ball-Flippin' Time! 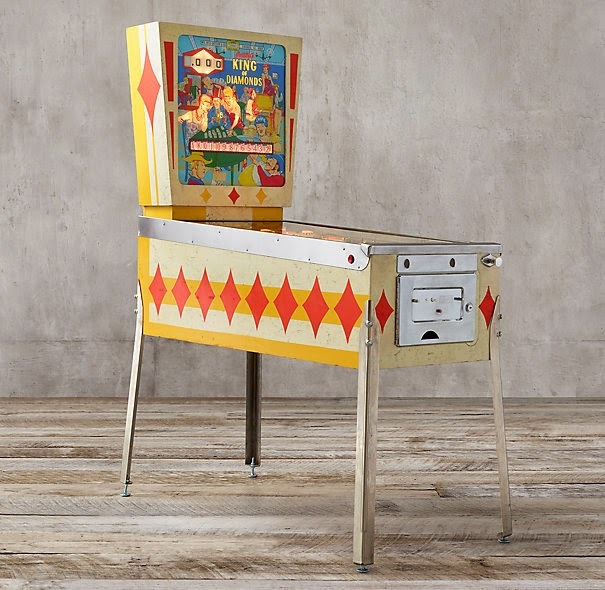 How fun are these fully refurbished mid-century pinball machines? 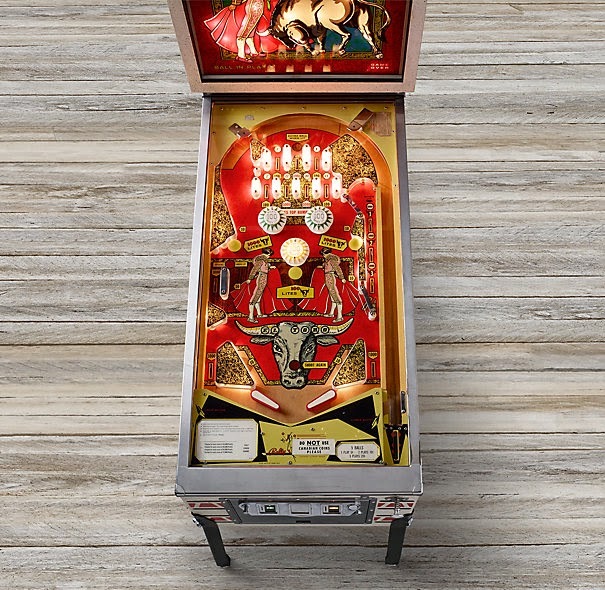 Restoration Hardware has brought a collection of them back to life, masterfully refurbished by the world's premier pinball archive and now for sale online to once again, entertain pinball wizards for generations to come. 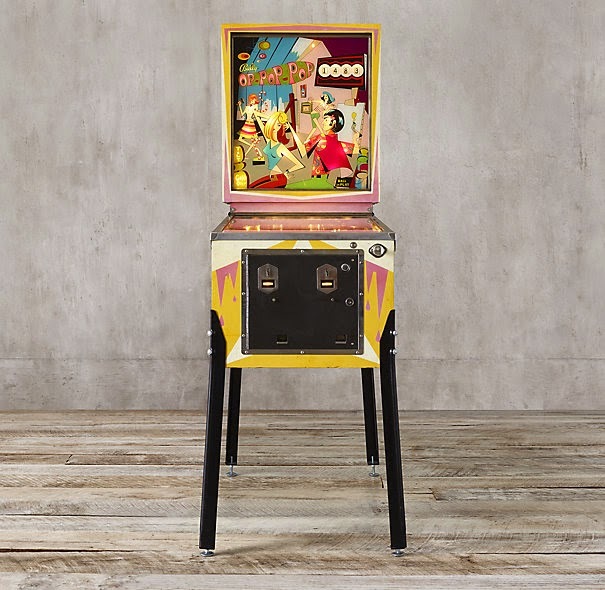 Also available, arcade games like Ms. Pac-Man, Donkey Kong, Galaga, etc. 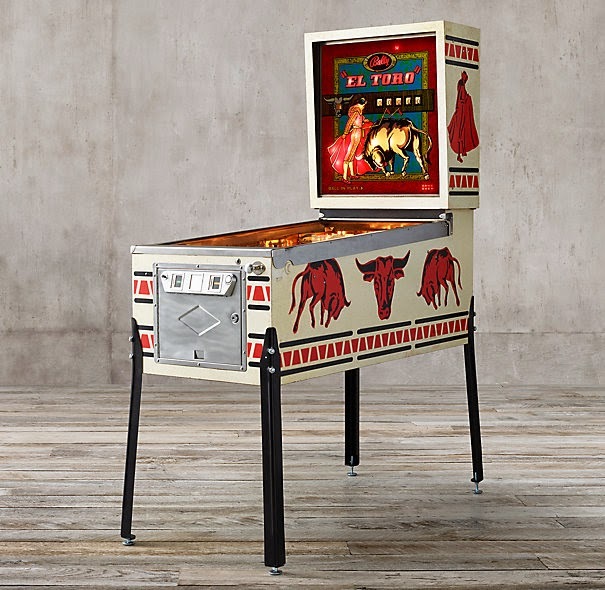 Would love to have one in our home for the holidays! $3995. Click here for more info. OH how cool is that! 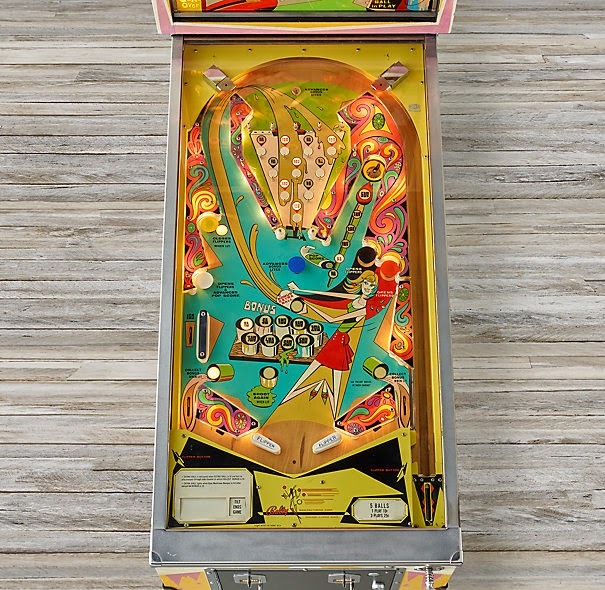 love the old pinball machines. 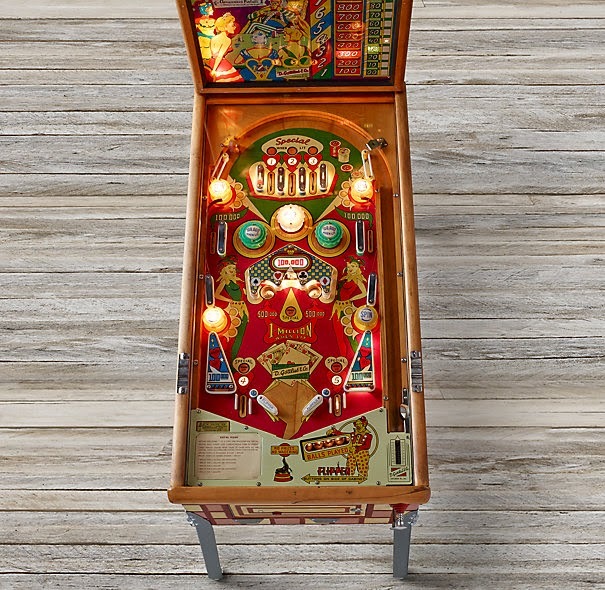 My Aunt and Uncle had a pinball machine similar to the last one here when I was growing up in the late 70s. 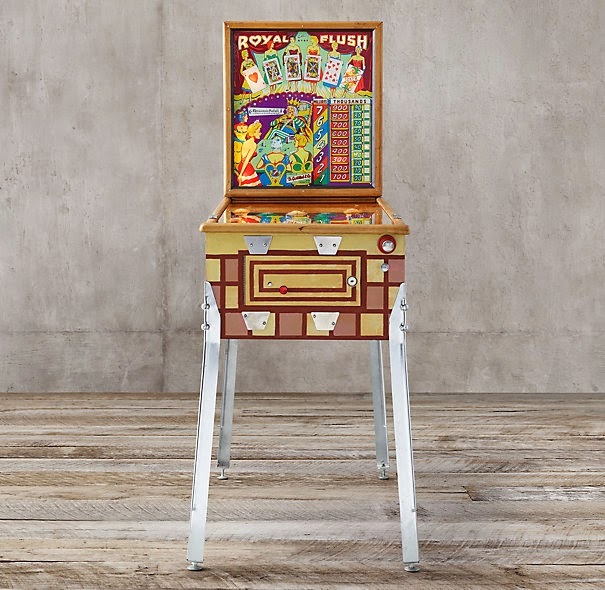 It was in a nook by the kitchen and we played it constantly. 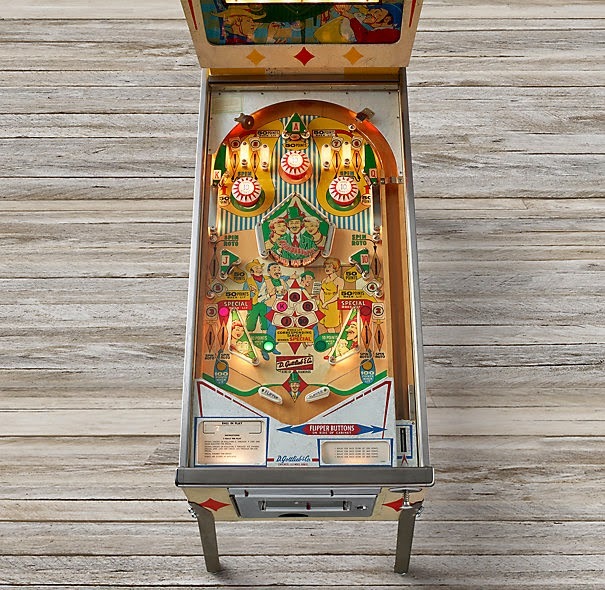 It was so fun to get the ball bouncing off the bumpers and the lights going berserk. Thanks for stirring the forgotten memory.